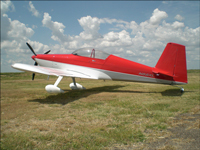 Show Planes is credited for many top awards around the country, including the prestigious Grand Champion kit built at Airventure Oshkosh in 1999 & 2002. 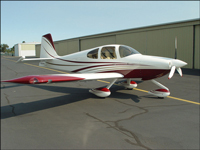 Some of the distinctively unique products found on these grand champion aircraft have made their way into production and can be found for sale on this site. All of these products are thoroughly tested and built to aerospace specifications for safety and longevity. Research and development of new innovative product designs are on going and continually fueled by performance, safety, and the desire to personalize your individual aircraft. Show Planes strives to be on the leading edge of sport aircraft technology as we enter into a new era of general aviation. We also provide aircraft assembly including aluminum fabrication, composite fairing and airframe structure, powerplant, and electrical system’s; all are completed to the highest degree of quality. Custom airframe modifications, engine installations, or avionic packages from basic VFR to a full EFIS system, whatever the individual requirements are Show Planes will accommodate your needs. Full-service, full-time, personalized builder assistance is our specialty, where you get one on one instruction in the art of aircraft fabrication. All builder assistance strictly adheres to the FAA 51% amateur built rule requirements. To put the finishing touches on that project multi award winning paint and upholstery can be contracted in house. So whether you are looking for assistance in creating a one of kind show plane that performs as well as it looks or a specialty product to increase performance and value, Show Planes is here to help.